End of 38th Entry: An answer came the same day accepting and asking him to leave for Grahamstown immediately. Calling on a friend of his father’s, Mick borrowed three pounds to make up the fare and with many an affectionate word bade farewell to the O’Donovans and Muriel. 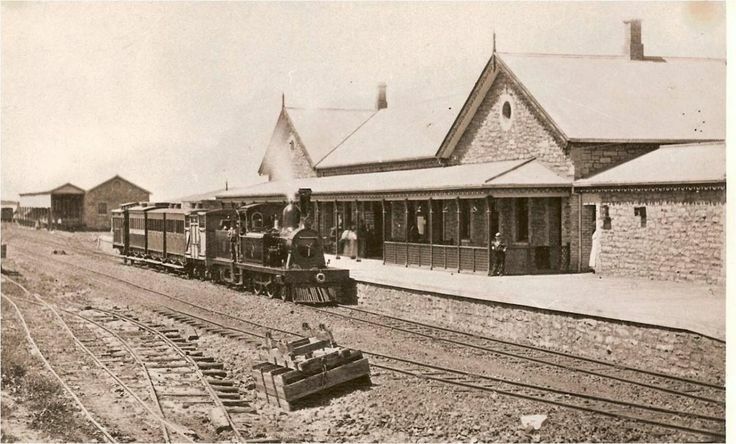 From Johannesburg to Grahamstown in the Eastern province of the Cape Colony was a long and wearisome journey travelling under the best of conditions. 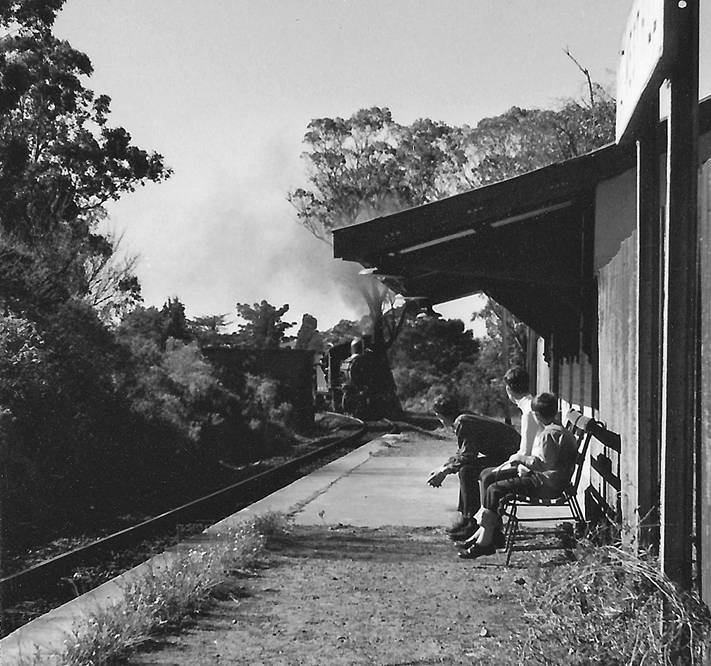 The route involved changing two or three times and waiting long hours at railway junctions and some of the trains were amongst the slowest in the world. 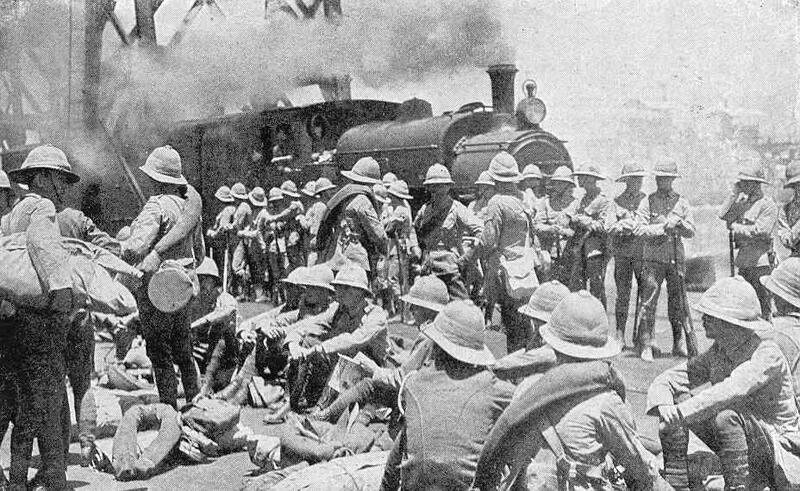 Travelling Third Class – a Class in Africa patronised almost exclusively by Coloured people – in winter with no funds to buy food and without blankets moreover was something of a purgatory. However Mick was beginning to become accustomed to hard living and took the journey philosophically. He secured a loaf of stale bread and with that kept body and soul together. The hard cushionless seats were no worse than the floor of his room on the mine and the scenery kept his interest ever on the alert. The journey through the great grassed plains of the Orange Free State was monotonous, but once over the border the train ran into the hills and then Mick in spite of hunger and cold forgot his worries in the exquisite pictures ever appearing. One of the greatest sources of interest was the native in his raw state. 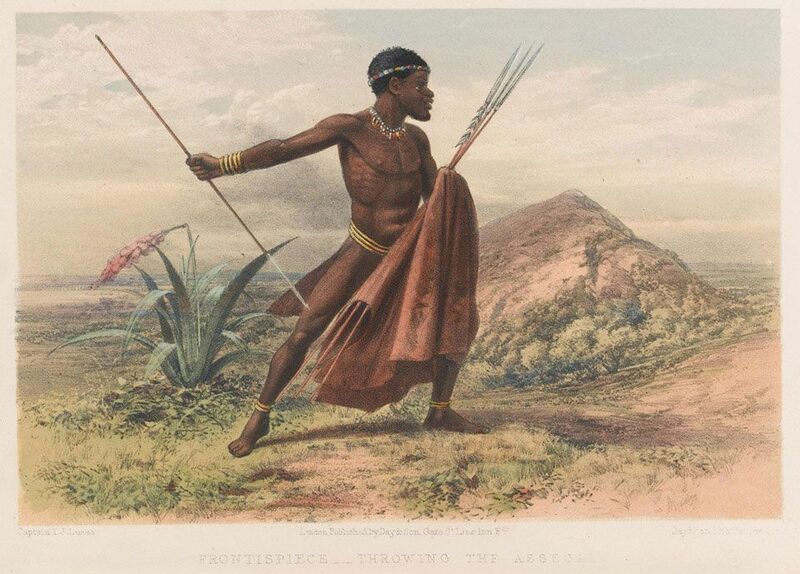 Along the line, the boy saw many warlike Amaxhosa draped in their red blankets. Some covered in red clay signifying they had undergone the rites of circumcision and initiation and were now men. stand in an open plain in the Transkei, South Africa. 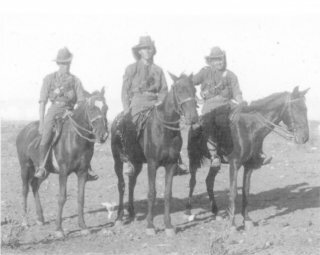 These men had passed weeks away from women practicing various ceremonies and proving themselves capable of enduring various tests as to their courage, endurance and ability to stand the pain. Now as warriors of the tribe they could marry as soon as the price of a wife, a matter of four or five cows was theirs. The women adorned with armlets, bracelets, necklets, and anklets of cunningly woven brass and copper wire or beautiful beadwork, wearing tiny skin petticoats embroidered with beads amused him but Mick with a brain crammed with tales of the Kaffir Wars found his attention concentrating on the men. Savages they were not. Tall dignified, with the manners of courtiers and the bearing of well-disciplined warriors the sight of them, thrilled the lad. No Xhosa whether of the Gcaleka or Gaika Tambookie or Pondomise had ever yet been called a coward. 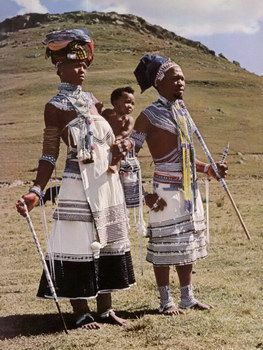 Even Dinigiswayo, Chaka, and Dingaan named them as cousins and kept the Zulu regiments away from the territories of the Amaxhosa. Grahamstown came at last and Mick slept in the station waiting room. Next morning he called on one of his father’s friends and was cordially received – the lawyer leaving his office to take Mick to his home. Here his wife proved keenly interested in spite of the lad’s appearance for Mick had left Johannesburg in a pair of white drill trousers, a white shirt, and linen collar – three days and nights in the train had turned the boy into a disreputable specimen of humanity as any slum could produce. Mick, although only nineteen was already growing a strong black beard and unshaven for three days, made a horrible sight. Questioned regarding his luggage Mick airily explained that it was following. However, in spite of his looks the lawyer’s wife behaved like a mother – some old clothes of her son’s were routed out. Mick was sent off to bath and shave and on emerging found a well-spread table awaiting him. Michael from his earliest childhood had loved his parents and respected them – ever since the misty days of babyhood his father had been his chum but that throughout South Africa his father’s name should be an open sesame to every legal door whether of office or private home came as a revelation to the lad. Dad was a good pal and Mother was one of the best and everybody liked dropping in at his home whilst there were always stacks of calling cards left. That seemed natural but he had never regarded his parents as anything out of the ordinary. Of course, both came from deuced good families but all the money gone – there was a great old-fashioned harp – there were relics of ancient days and all the aunts and relatives looked as though they had come out of pictures and books but much the same applied to dozens of families he had been brought up with. As a kid he remembered most of them as being still landowners being buried in their own vaults, living stately old-fashioned lives but nowadays that sort of thing was no use to anybody. Clever moderns who didn’t know where their grandparents came from, had sneaked land, cash and everything from the old world lot and being ancient lineage didn’t bring people flocking around. Still Dad’s multitudinous activities in the musical and scholastic world he supposed made people grateful. Two school boards got a free secretary, a church a free choirmaster, all sorts of clubs and societies got advice, training and clerical advice free, gratis and for nothing. No wonder Dad was so popular and the Mater‘s cooking and unbounded hospitality were known everywhere. But that didn’t account for the power of Dad’s name throughout the length and breadth of Africa – Ah Mick many and many a year would pass before true realisation would come that in this modern world a clean gentleman who to the moment of his death never swerved from the code of King Arthur’s knights, who never stooped to touch dirt or turned to glance at it – who himself never shirked danger, poverty, or cared a damn what other people thought, was a man so rare that in sixty years no man met him and forgot him or his wife. Ah Mick – in the dark days of ’14 when you travelled sixteen hundred miles to “Join Up”, and arrived after midnight at your father’s house there was a light burning in the hall and before you could knock the door was thrown open and yourself and two comrades heard – “Come in Dear Boy and bring your friends, there’s food waiting.” Aye with a Dad like that no wonder Mick’s brother three times discharged, crippled from different units somehow wangled back into the fighting line until covered with the flag of Britain he was borne to the Heroes Corner of Brighton. But the Dad and the Mater, their other sons and their daughters belong to another tale – perhaps who knows their records may yet be written.